The Ethiopian goatherd Kaldi had never seen his goats so playful. Could it be that the cherry-laden shrubbery was contributing to their energy? He bit into the crimson-cloaked seeds and immediately knew he’d hit on something revolutionary. His sight was clearer, his tiredness was gone, and his mind was alert. He brought some seeds to a monk at the monastery to share his discovery. Unimpressed, the monk threw the beans in the fire. After several minutes, the room filled with an enchanting fragrance. Other monks rushed into the room to discover the source of the smell. They eagerly scooped the beans from the coals and cooled them in water. The resulting decoction was so splendid that news of it spread far and wide. Thus the beverage coffee was born in the Dark Ages in Eastern Africa. Time passed, and the news of the flavorful beans spread 200 miles away across the Red Sea to Yemen, where the first coffee plantations grew. It was only a matter of time till the aromatic beverage spread throughout the Arab world. Although love for the beverage spread, Yemen authorities prohibited fertile seeds from being exported. The supply of coffee remained concentrated in Yemen until eager Dutch horticulturists finally acquired the elusive plants from Mocha, Yemen. From there, the Dutch established their own colonies in Ceylon and Java. One Dutchman presented a coffee tree as a gift to King Louis of France, who was thrilled with it. A French Naval officer took some cuttings from the royal tree and planted them in Caribbean Martinique. Eventually coffee plantations would spread to Hawaii, where expensive coffees would flourish in the tropical volcanic soil. Over time, the influence of the coffee bean spread around the globe, employing many while keeping the world alert and ready to do business. It’s hard to imagine a time when coffee wasn’t there to fuel an energetic debate or spur a sluggish brain into action. The reality, however, is that the world has apparently been without coffee much longer than it’s been blessed to enjoy it. Once the discovery of the brew spread past the borders of Ethiopia where the beans grew native, clear rational thought would soon take the world by storm. In an age where wine had dulled the senses of many, the introduction of coffee would mightily impact each society it touched. Coffee fueled the minds of the Arabian architects of modern-day arithmetic while the rest of the world subsisted on wine and lived in a haze of semi-drunkenness. It may be no accident that coffee entered Europe the same time Europe exited the Dark Ages. In 1550, the first known coffeehouse opened in modern-day Istanbul, Turkey. Coffeehouses spread to Europe in the 1600s. The first coffeehouse opened in London in the 16th century, and a century or two later, London was home to over 3,000 coffeehouses. Along with the coffee explosion came an explosion of intellectualism. The Age of Reason coincided neatly with the appearance of coffeehouses dotting the European landscape. These cozy gathering spots were dubbed “penny universities” because so much stimulating discussion could be enjoyed inside. Soon in London each particular discipline had its corresponding coffeehouse. Influential artists and writers frequented the Wills Café. Isaac Newton and his scientific-minded colleagues visited the Grecian Café. Powerful business organizations had their own coffeehouses, like the East India Company that met in the Jerusalem Café. The first ballot box allowing secret voting of political matters appeared in London’s Turkshead Coffeehouse. The rise of each of these exclusive gathering spots inspired a new convention: the modern newspaper with its separate sections devoted to specific disciplines. The Industrial Age owes a debt of gratitude to the coffee bean, because without it, the clear thinking and alert reflexes would not have been possible – especially while workers and owners would have been trying to operate machinery while full of the previous default alcoholic beverages. In America, the Boston Tea Party transformed loyal British tea drinkers into passionate Patriot coffee drinkers. The American love of coffee didn’t subside, either. In 1881 Austin and Reuben Hills started roasting coffee in front of their San Francisco store. Other companies like Folgers, Maxwell House from Tennessee, and Arbuckle competed for American business in a rapidly growing marketing race. With the advent of disastrous technologies for true coffee lovers like the percolator and instant coffee, the love of coffee waned in the post-Cold War period. It wasn’t until the onset of gourmet coffeehouses like Starbucks that a new generation has welcomed the comfort of the steaming cup. Today, you can enjoy your coffee from anywhere in the world. All it requires is a sophisticated palate – and be assured, it takes supreme sophistication for these coffees to make it to the barista. Trained coffee testers check for quality assurance. They loudly slurp enough coffee to cover the palate and let it linger long enough to get a feel for the quality, then they spit it out. The journey of coffee from berry to cup is a captivating one, and what makes it especially exciting is that it can be done at home. Of course, a single coffee tree will only produce about one pound of coffee a year, or 4,000 beans. Therefore, if you’re much of a coffee drinker, you might not want to get too excited about the prospect of doing it yourself. First, the coffee cherries must be picked once they are red ripe. Yellow or green cherries will taste sour when roasted, and only inferior brands would ever include them. Once the berries are picked, they must be hulled. This process usually requires specialty equipment for any large quantity. The husks pop off the seeds, which grow by pairs inside the cherries. After this, the seeds or “beans” must be dried. This can be accomplished several days in the sun or by use of a specialty coffee bean dryer. The green seeds are naturally covered in a parchment that keeps them fresh but must be removed before roasting. This can be accomplished, in small quantities, by using a coffee grinder for only a moment to crack the parchment and then blowing away the parchment chaff using a hair dryer. After the parchments have been removed, the beans can be roasted. This takes between 12-15 minutes at around 350-400 Fahrenheit. 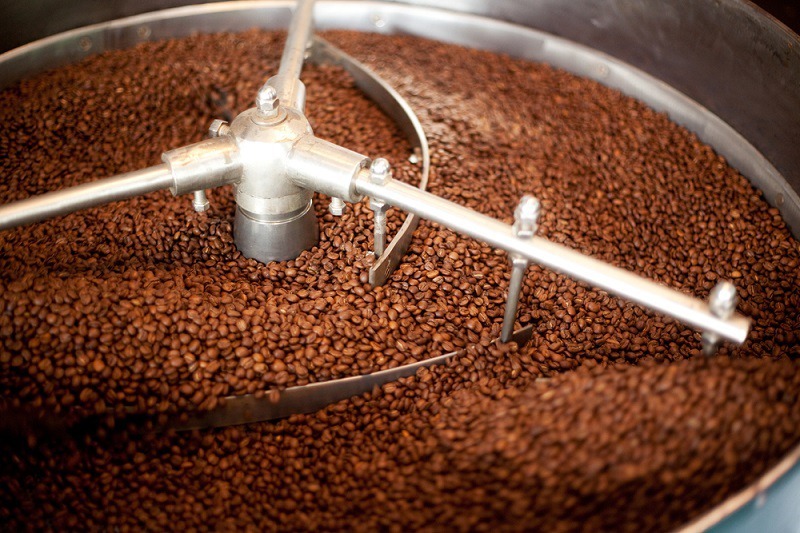 As soon as the beans begin cracking, they are immediately removed from the roaster and cooled. After this they can be bagged for distribution. 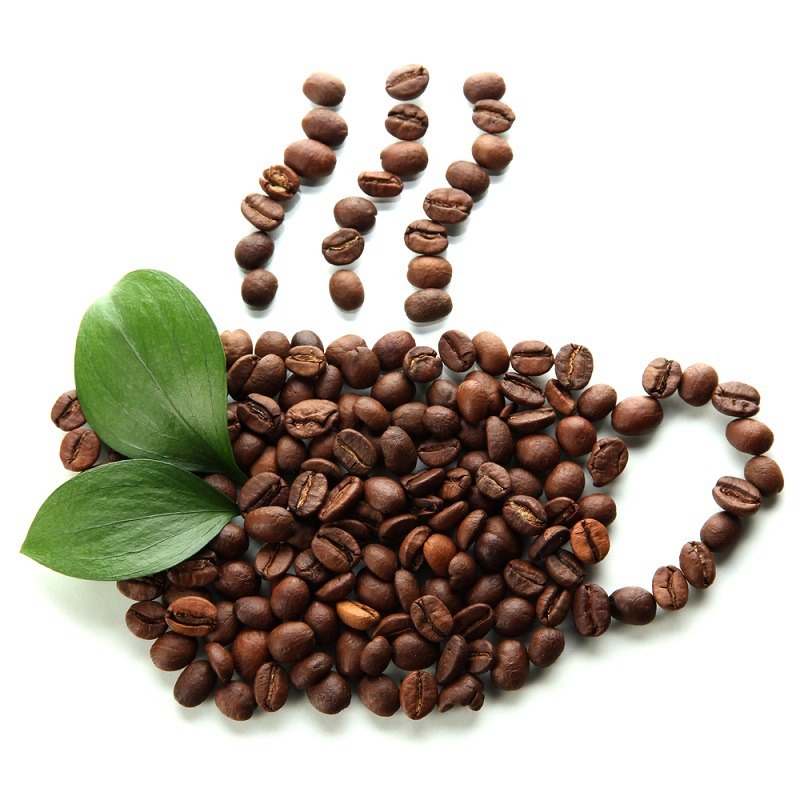 There are several different types of coffee beans. 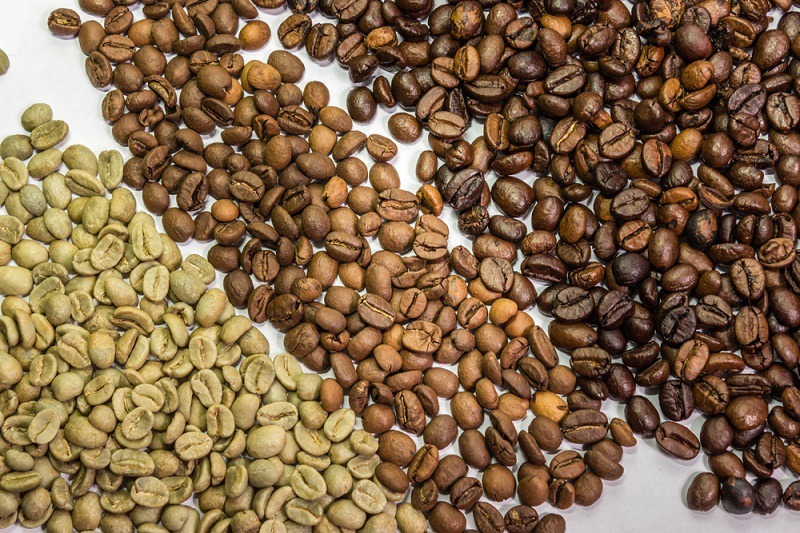 The two most popular varieties are Arabica and Robusta. While the Robusta strain is more disease resistant and easily grown, it is also less flavorful. Arabica coffees are found in high end coffeehouses. The reintroduction of Arabica coffee is the main reason for the renewed interest in coffee in recent years. For decades, top companies had started adding Robusta beans to their blends to save money. In exchange, they lost business as the next generation refused the low quality coffee. 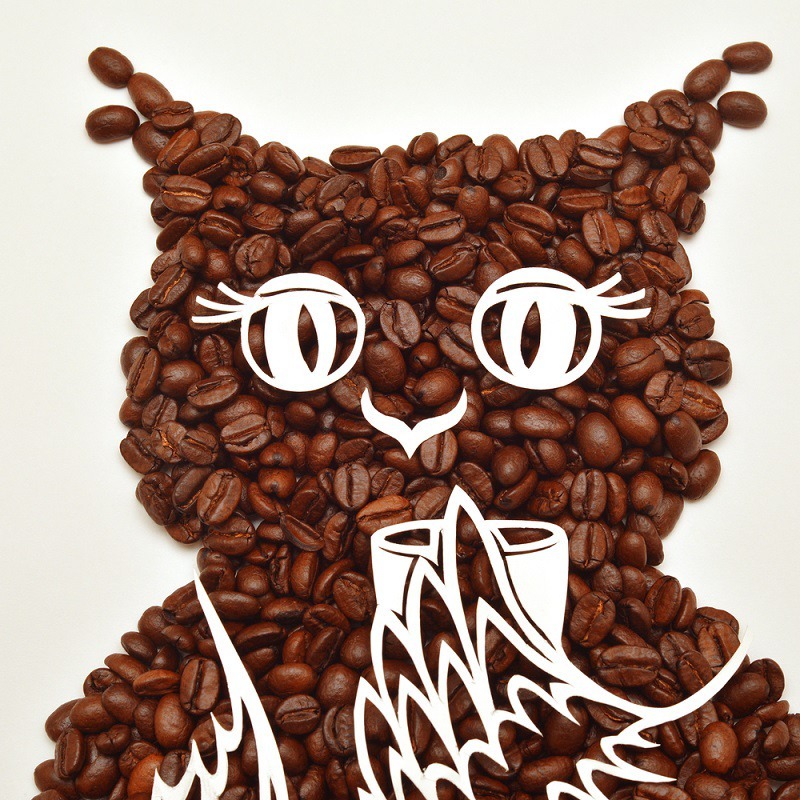 With the reappearance of fragrant Arabica coffee, the beverage is enjoying a Renaissance. Should you be so blessed to acquire green coffee beans, you can roast them completely yourself. Once the hulls and parchments are removed and the beans have been thoroughly dried, simply add the beans to a pan and constantly stir them until they are completely dark brown and begin to crack. It should take between 12 and 15 minutes. Many other countries enjoy large exports of coffee, but these countries have achieved a level of prestige for their rich coffee heritage. Q: What’s the difference between espresso beans vs coffee beans? A: It’s the same difference between cappuccino beans and espresso beans – no difference, except in the preparation. Espresso was first developed in 1948 in Milan, Italy. The machine was designed using a powerful spring and piston that forced water through the coffee grounds much quicker than was before possible. The result was an uber-caffeinated shot of coffee concentrate called espresso. Soon espresso bars popped up all over Italy. It then moved to San Francisco and fueled the counterculture movement that cropped up in coffeehouses around San Francisco. Q: Can you eat coffee beans? A: Definitely. In fact, the first recorded human consumption of a coffee product was an African tribe that mixed the coffee beans with fat and then gnawed on them as a snack. Q: How many coffee beans per cup of coffee? A: There are approximately 70 beans per cup of coffee. If you enjoy the blessing of coffee, remember to give thanks for every steaming cup down to the last drop.